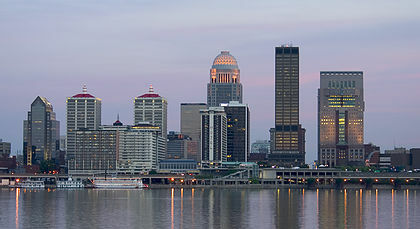 Board Certified Physician Louisville, KY.
Dr. Jackson is board certified by the American Board of Urology, and his special areas of interest are stone disease, urologic cancers and the treatment of incontinence, in addition to general urology. 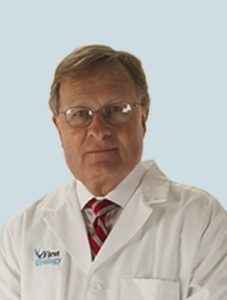 Dr. Jackson has served as a clinician for the University of Louisville urology clinic, and has served as president of the Kentucky Urological Society. He trained with HIFU over five years ago in 2010 and has been a part of nearly 20 cases with patients. He currently practices at First Urology in Louisville, Kentucky. With more than 25 urologists in the practice, First Urology is the largest urologic provider in the greater Louisville and southern Indiana area. The practice offers comprehensive urologic care for men, women and children of all ages. First Urology partnered with HIFU Prostate Services to make Sonablate HIFU for prostate cancer available at Louisville Surgery Center. Where is HIFU Available with Dr. Jackson? A partnership between First Urology, Dr. John Jurige and HIFU Prostate Services makes Sonablate HIFU available at Louisville Surgery Center. First Urology, PSC, which was formed when Metropolitan Urology and Allied Urology joined together as equal partners, is the largest urologic provider in the greater Louisville and southern Indiana area with over 25 urologists in the group. Physicians’ Medical Center (PMC) is a dynamic health care company designed and 100% owned by physicians who live and operate in Kentuckiana. The main hospital campus is conveniently located in New Albany, Indiana. PMC opened its doors in the Fall of 2008 with a mission to provide the highest quality surgical care. Physicians’ Medical Center continues to build on a legacy of Quality Care on both sides of the river. With the addition of the two new Ohio River Bridges, physicians and patients are finding it more convenient to come to Southern Indiana for low cost, quality medical care. Click here to learn more.